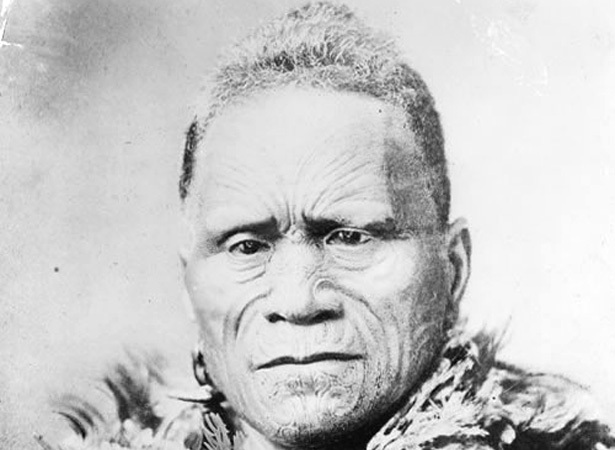 Tūkāroto Matutaera Pōtatau Te Wherowhero Tāwhiao had led his people through the traumatic period during and after the wars of the 1860s. He was buried at Taupiri in September after a tangihanga attended by thousands. Tāwhiao was succeeded as King by his son, Mahuta. During Tāwhiao’s exile in the ‘King Country’, Waikato people had reflected and focused on the powerful symbols of the King movement. The man and the vision became united and formed part of the traditions and knowledge of the people. The vision is recounted and passed on at tribal hui, where it continues to be discussed and debated. We have 40 biographies, 4 articles, related to Death of second Māori King.